Misc - somewhere to put some things. The Star Thief – an exiting story of a girl, who is only half human – her other half? Mordant. The other day, we watched a read aloud of a book called Tuesday. I got this aeroplane book out because I wanted to learn about how to make paper aeroplanes and there’s all these cool aeroplanes that you can make. Look what we have in our hot little hands!!!!! Completely Cassidy, by Tamsyn Murray. 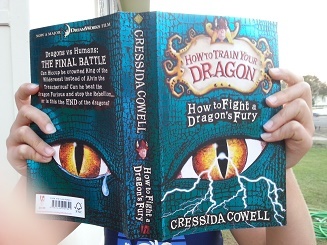 So says Cassidy Bond at the beginning of her story about the first term at her new school as a Year Seven. Her mother’s pregnant, her father’s an Elvis Presley impersonator, her brother’s in a rock band, one of her two best friends is acting very strangely. 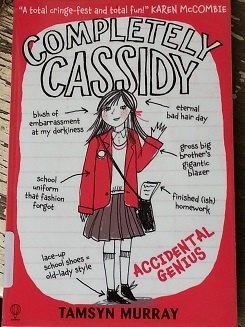 Throw in a test that shows she’s a genius, an inter-school quiz and a talent show, and you’ve got everything for a clever and amusing book told through the eyes of an 11-12 year old. If I told you any more, it would spoil the story. Angela Nicely, by Alan MacDonald. Illustraed by David Roberts. Three short stories. Three funny situations. One single-minded, determined little girl. 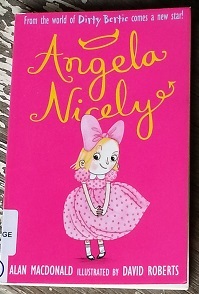 Angela Nicely (about 6 years old, I think) is an engaging, if not what you’d call a well-behaved, girl. Her misbehaviour is not malicious (perhaps with the exception of getting her modelling rival wet) as much as singularly focused. Who wouldn’t want to figure out if the head teacher is wearing a wig? How else are you meant to get on top in the modelling game? And when a weekend spa turns out to be a weekend arghh!, you have to do something, right? 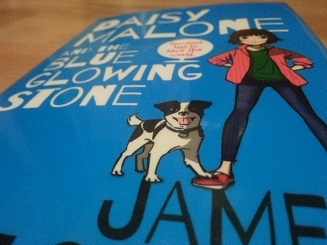 Daisy Malone and the Blue Glowing Stone. Daisy and her talking dog, Ben, allow Daisy’s curiosity to lead them straight into an adventure that involves destroying the world…or saving it, depending on what happens. A blue glowing stone turns up in their lives and crazily enough it has a connection to her mother, an archaeologist at a dig some distance away. Who to trust and who to depend on becomes all important in this race to prevent an evil alien villain from ruling the universe.